The Theta S Remote control app allows you to control the Ricoh Theta S camera over Wifi. 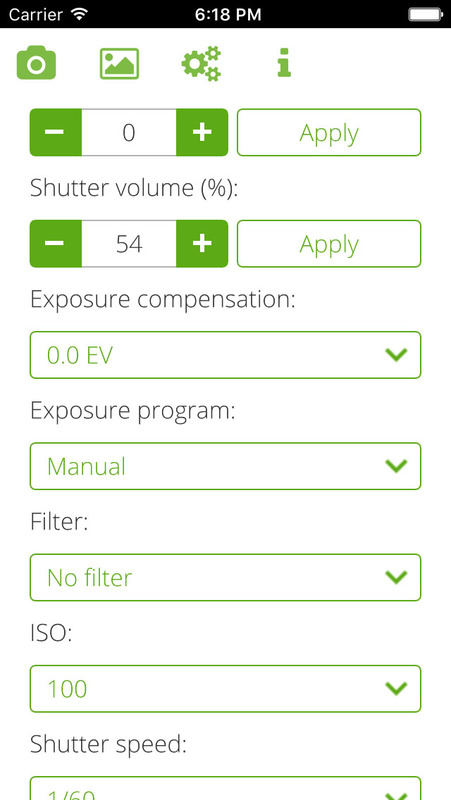 It supports changing of settings (such as shutter time, ISO, exposure compensation, time-lapse settings, HDR filter, sounds, ...), capturing, and media download. Control Ricoh Theta S 360 degree cameras over Wifi. 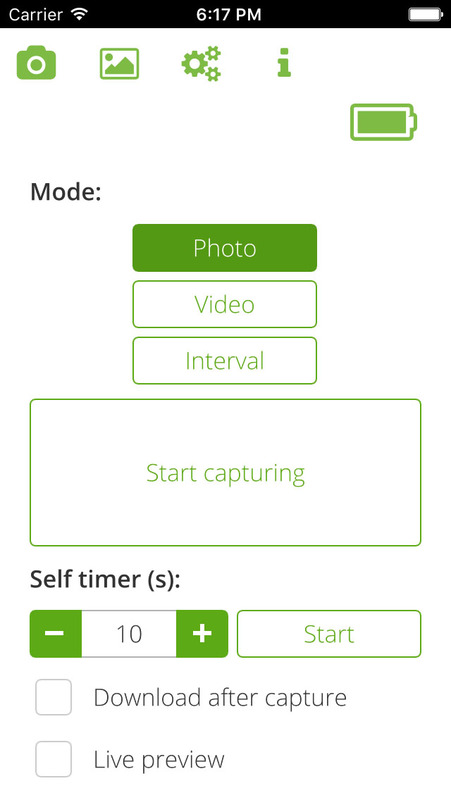 Capture photos, time-lapse (interval), and videos. 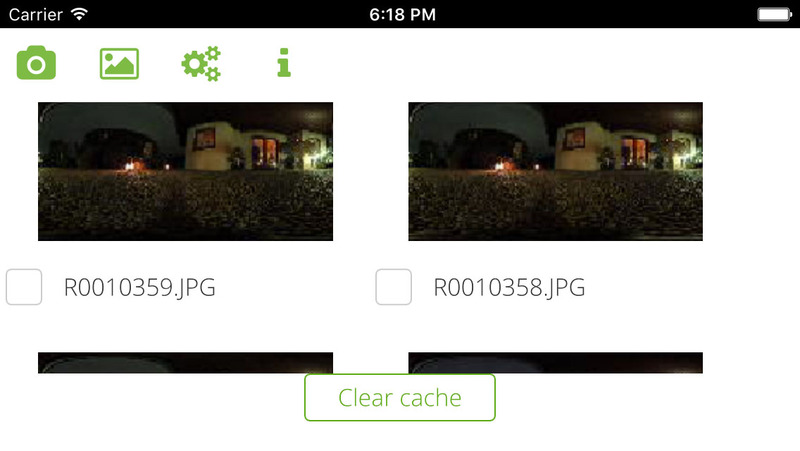 Download photos and videos from the camera over Wifi. Live preview (still modes only). Turn on the Theta S camera. Connect the Theta S with your device over Wifi (the Wifi password corresponds to the digits of the camera's serial number). Start the Theta S Remote app.